This week I attended my local LabVIEW User Group (CSLUG). I have been a member for a few years and can't emphasise enough how much you can get out of a two (sometimes three/four) hour discussion once a quarter. Here are a few reasons to join a LabVIEW User Group in your area, and if there isn't one, maybe get hold of NI and start one. The idea is that adding a shift register to a while loop gives you access to the value of the previous state. This I always knew and use often. What I didn't know is that you can add multiple input terminals to a single output terminal. This means that the top input terminal is the data from the previous state, the terminal below is the data from the state before the previous state and so forth. Without attending the User Group I might never have come across this. It also wasn't something on the agenda so you never know what you are going to learn, but you can be assured that you will learn something. 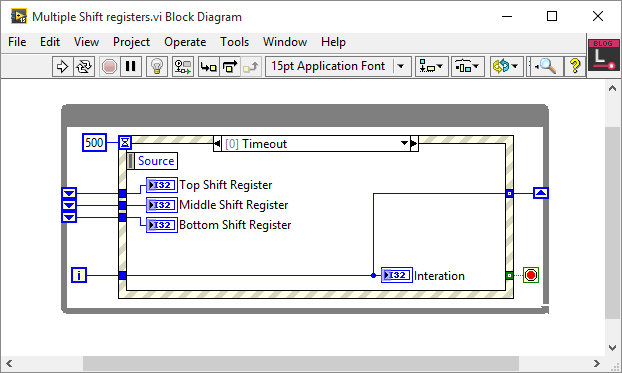 Another invaluable tool I use (learnt from a LabVIEW User Group) is the vi property that suspends a vi when called. Have a look this blog post by Chris Roebuck, it will change the way you debug. 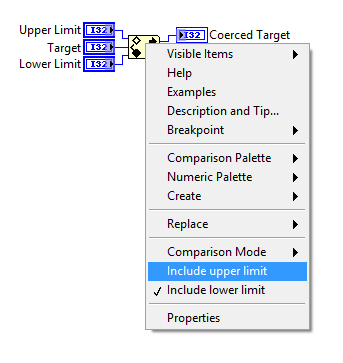 I have been using LabVIEW Quick Drop for the last few years and find it really useful. I almost never open the functions palette anymore. The one problem I find with Quick Drop, not really a problem with Quick Drop, is that I end up using the same functions over and over again, without discovering new, different or more efficient methods of doing things. By opening the functions palette every now and then, you can quite quickly and easily notice new or unused functions. Using Quick Drop and what I thought to be a good search term to find the function that does this in one step proved unsuccessful. Knowing what the function does and how it works, it’s obvious why it has the name that it does. This does however make it a bit tricky to look for functions without knowing the name of something and just knowing what you want it to do. I started off using the default FPGA build and express vi's but quickly ran into a problem when I tried to use the SPI express vi. Each time I tried to configure the express vi, LabVIEW crashed. After a while this got extremely irritating so I started looking at the myRIO Custom FPGA Project. These are the steps that I followed to to get it working on a myRIO. I'm sure the steps will be very similar when moving to any other FPGA target. Once you have the myRIO target added to the project, copy the FIFO's and Example_Host SPI Dual Port.vi from the sbRIO FPGA Target to the myRIO FPGA Target. Make sure to copy them to the FPGA Target and not the RT Target. Then copy Example_Host SPI Dual Port.vi and FPGA Reference.ctl from the sbRIO RT Target to the myRIO RT Target. Save and close the vi. In Example_Host SPI Dual Port.vi delete the FPGA IO cluster and then add it again by adding a constant to the subvi. This will update the references that have been changed. Save and close all open vi's. Remove the original sbRIO Target and save the project. As usual, if you have an questions or advice, please feel free to get in touch. You can also download the modified project here. As with all my posts, you can download the LabVIEW and C# code. If you have any feedback, please feel free to contact me on Google+ or send me an email. Both the C# and LabVIEW application have been tested on the default Raspbian image running on a Raspberry Pi B. The project that I am currently working on requires Perl scripts to be executed through a LabVIEW application which configures the UUT. As Perl is not natively supported by Windows and LabVIEW (I might be wrong here), other tools are needed in order to execute the scripts correctly. As the scripts were developed on Linux, there was never an issue running them before developing the LabVIEW application. First we need to be able to execute the Perl scripts on Windows, then we can move on to LabVIEW. The tool I am using is called Cygwin. When selecting packages make sure you select perl(under Interpreters Group) and ssh (under Net Group) packages. Once installed, running the shortcut on the desktop will open a terminal. The pwd command will give you the location and should be the same as set by the Root Directory above. Create a Perl script in that directory. As an example I have created a Perl script that just prints a number for 5 seconds and then exits. To run the script, enter ./Test_Script.pl in the command line and watch as it runs. 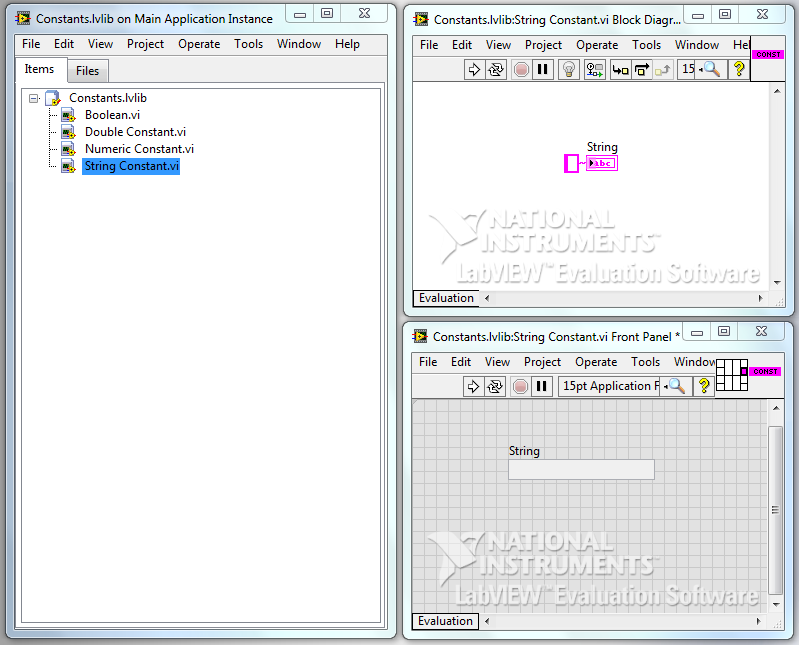 To execute an external application from LabVIEW, one way is to use the System Exec vi. This covers executing the application/script, however Windows is still not able to run a Perl script if it is just called. The first thought that popped in my mind was to use a batch file. After doing a bit of research, I found a simple way of calling the Perl script, using bash.exe from a batch file. This batch file, navigates to the bin directory that was installed by Cygwin and executes the Perl script using bash. The batch file then exits when the script completes. 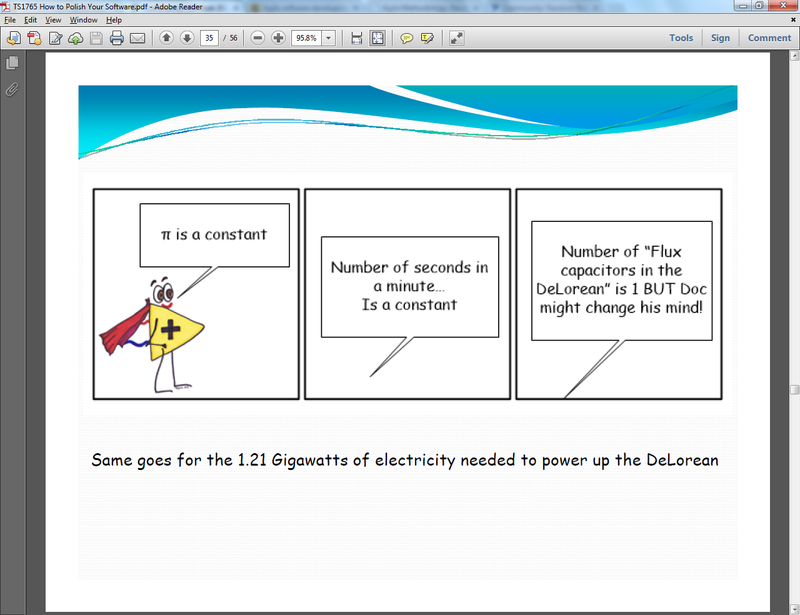 To accomplish this in LabVIEW is really simple. Just pass the path of the batch file into the command input of System Exec and run the vi. The file runs and the output is reported. This is great because now we can run a Perl script on Windows through LabVIEW and get the Standard Output and Return Code once the script is complete. This worked well until I started seeing times when the batch file would not exit. I tried all the escape codes that you can call on exit but nothing worked consistently. The Perl script would execute perfectly every time when run in the terminal, but when run from the batch file and LabVIEW, it would not. This was not acceptable so I had to look for another way to execute the script successfully every time. As the Perl script worked perfectly when run in the terminal, I started looking at ways of replicating it from within LabVIEW. First was to look at what was run when you double click the desktop shortcut. The target points to C:\Users\gpayne\bin\mintty.exe -i /Cygwin-Terminal.ico - and this is what got me started. I noticed that the application that is run is called Mintty.exe so I took a look at the help file. To get the help file, just type mintty --help at the terminal. I was not interested in the --icon option, but the --exec option looked promising. This got me thinking of what I wanted to execute using Mintty.exe. I needed to execute my Perl script using bash. So I started to build up my string that I would write to System Exec in LabVIEW. After some trial and error, I was successful in executing the Perl script. This is what I came up with. The bash help files are also helpful so from the terminal type bash --help or bash -c "help set". This would execute the Perl script with bash running in Mintty. This was all good until I noticed that the standard output was not being reported back to LabVIEW. I needed the standard output as this is what I parse to determine if the script was successful or not. This is very easily solved by piping the standard output from the script to a file and then get LabVIEW to read the file once the script exits. This does add an extra step, but by executing the script in this way, it runs and exits cleanly every time, being much more reliable than using the batch file. This is my final string that was used. After trying both methods, I settled on using Mintty instead of Windows batch files. They seemed a lot more reliable over many executions. This method can surely be expanded to running Python scripts too, which I will leave for another day. As usual, please direct any questions, comments or tips to my email or on Google+. A LabVIEW project that I have previously worked on had many different components, each with there own version numbering. A global variable was used to READ the version numbers when the application was run. This worked well, but became rather cumbersome when we had to manually change the global variable each time we modified or built the application. This became apparent and very frustrating when a build would be run, which could easily take an hour or two to complete, and only when running the application did we realise that we forgot to update the global or save its default value. I thought there must be an alternative so went about exploring the application properties and methods. As it turned out, it is really quick and easy to pull the application version number from the built executable in LabVIEW. Only two property nodes and one method are needed to get the version number from the built application. First you need to get the type of application that is being run. An enumerated type is returned and if this vi is run from within an application, the App.Kind property will be "Run TIme System". In this case, pass in the path to the executable, and then get a reference to the FileVersionInfo. The FileVersion property can then be read. 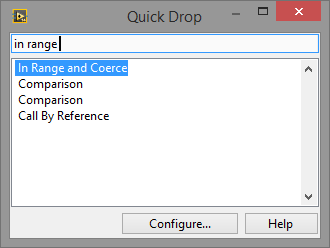 This will be the same value as set in the Version Information setting of the Application Properties. The App.Kind property can be used in a number of ways when you want specific settings to be applied only when running in certain environments. I hope you find this useful and as usual the project used in the post can be downloaded here. Following on from the LabVIEW Actor Framework Basics post, I wanted to continue the project showing how to use a Linked Network Actor. The Linked Network Actor (LNA) library uses network streams to communicate between Actors across a network connection. You can download the library and read all about the details over on the community page. Either start at the beginning of the previous post, or just download the project here. Once you have the project open, start by creating a new class, Remote Actor, and setting its inheritance to Actor. For your newly created Remote Actor, follow the steps in the previous post for overriding 'Pre Launch Actor.vi', 'Actor Core.vi' and 'Stop Core.vi'. You will also need to create a launcher VI to start the Remote Actor. All these steps have been covered before and you will be left with four VIs that look as follows. You will now have a normal Actor that can be run from the launcher and will stop cleanly when the front panel of the Actor Core is closed. Create a global VI which is used to define the Remote Actor identity, Local Actor identity and the IP Address of the Remote Actor. I have used a global VI in this example to keep these settings in one place, but in a proper application, these values should be saved in some sort of config file and then added in using the constructors. Now we need to create the Launch LNA VI and the Kill LNA VI. The Launch LNA VI will be run from the Remote Actor Core and the Kill LNA VI will be run from the Remote Stop Core. In the Launch LNA VI, you need to launch an instance of 'Linked Network Actor.lvclass'. However, before the Actor is launched, a few properties need set. Using the global VI from above, set the name to be RemoteActor, set a buffer size and a timeout. Once these properties are set, the Actor can be launched using the Remote Actor as the enquerer. Make sure to set the front panel to FALSE and wire the Remote LNA Enqueuer into the private data of Remote Actor. This enqueuer will be needed later when we want to send messages. Next we need to create the Remote Kill LNA VI which wraps the Send Normal Stop VI and is called from the Remote Stop Core. This will stop the Remote LNA when the Remote Actor is stopped. Once we have the Remote LNA running, we need a local LNA that is going to connect to it. Once this connection is made, messages can be sent between Actors across a network. Again we need to create a Launch LNA and Kill LNA VI which will be launched by the Parent (local) Actor Core and stopped by the Parent (local) Stop Core respectively. Both VIs are similar to the Remote version, except for a few additions to the Launch LNA VI. In the Parent Launch LNA VI, we need to specify connection URL which consists of the Remote Name and Remote IP Address. Once this URL has been constructed, we can run the 'Send Connect.vi' which is part of the LNA library. The Parent Kill LNA VI also uses the Send Normal Stop VI and is run from the Parent Stop Core. Once you have the Remote LNA and Parent LNA set up, all you need to do is create a method to run and build a message using the Actor Framework Message Maker tool. Then when you want to send a message, unbundle the LNA enqueuer and wire the message into the 'Send Transmit Network Message.vi'. This will execute the remote method referenced in the message Do.vi. If you need to send data as part of the message, you will be able to add the data to the message using property nodes. Messages can now be sent across a network with ease. As usual the working project can be found here and if you have any comments or advice, please send me an email or alternatively leave a comment on Google+. When running the program, make sure you start Remote Actor first, and then Launch the Parent Actor. It must be done this way as the Parent connects to the Remote. I have tried a number of times over the last year or so to get my head around the Actor Framework in LabVIEW. I started by reading the recommended starting point and went through all the examples, templates and hands-on. After trying a number of times, unsuccessfully, I put it to one side for another day. My two main stumbling points, I felt, was not having a project to implement the framework in and not really knowing where to start. All the examples that I worked through started with a relatively large project and I could not find an example that starts with an empty project and builds up from there. Last week a colleague explained the basics to me and over the last two weeks I have been working on a large project using the Actor Framework. I am finally getting an understanding of it and seeing the potential power in using the framework. Below is an example/tutorial on how to start from an empty project. Start off with an empty project and add three virtual folders named, Launcher, Parent Actor and Child Actor. The Parent Actor and Child(ren) Actor(s) will be created in a similar way. The main differences are the way in which they are started. I will explain how to create the Child Actor and then only show the differences in creating the Parent Actor. You need to add Actor Framework.lvlib to your project. This is needed so that the classes we are going to create can inherit from Actor.lvclass. Actor Framework.lvlib can be found in C:\Program Files (x86)\National Instruments\LabVIEW 2013\vi.lib\ActorFramework\. Create a new Class inside the Child Actor folder and save it. Create virtual folders called Messages and Framework Overrides. Change the inheritance of Child Actor.lvclass to inherit from Actor.lvclass. Create three vi’s that override the Actor Core, Pre Launch Init and Stop Core. Pre Launch Init will be used to create a string notifier and Stop Core will be used to clean up the notifier. These vi’s are called before and after Actor Core is launched and stopped respectively. Actor Core will be the main vi that is run. This is where your Actor’s functionality happens. Save these vi’s and add them to the Framework Overrides folder in the project. Follow the following steps to be able to stop the Child Actor when Actor Core is closed. Use the notifier out terminal to create a control, rename it stop notifier and then move it into Child Actor.lvclass private data cluster. This monitors the notifier every 20ms and when it is released in Stop Core, it will stop Actor Core. This is one of many ways that can be used to stop the Actor. Add an event for Panel Close? From the Actor Framework functions palette, place the Read Self Enqueuer outside the while loop and the Stop Actor inside the Panel Close? event. Wire the Child Actor object to the Read Seld Enqueuer and the Self Enqueuer to the Stop Actor. The Read Self Enqueuer vi gets the queue for itself. So what is happening here is the Stop Actor vi is being run on the Actors own queue which will call Stop Core, release the notifier and then stop the entire Actor.Next, create the Parent Actor using the same steps. Once complete, add the following modifications. Add the Launch Actor vi with the Read Self Enqueuer defining which queue to execute on. Add a control of the Actor’s enqueuer to the Parent Actors private data and bundle it into the Parent Actor object. Drag the Child Actor.lvclass from the project window onto the Parent Actor Core block diagram and wire it into the Launch Actor vi. This will now launch the Child Actor before running the Parent Actor core. Make sure that if you want to show the front panel of the Actor being launched, you need to set the Open Actor Core front Panel? To TRUE as the default is false. You first need to create a queue for the Actor Core to be launched on. You should now be able to run the launcher which will start the Parent Actor. The parent Actor will then start the Child Actor. When you close the two Actors, they should stop cleanly. If this works then we can carry on. If not, go back and make sure that you are releasing all the notifiers and queues. Add a Boolean control and indicator to the Parent and Child Actor Core. Setting the control in the one Actor will set the indicator in the other Actor. This will show the basics of sending messages between Actors. You need to add references to both Actors for their respective indicators. We will use these references to get and update their state from other vi’s with the class. You also need to add a reference control to the Parent and Child class private data. Make sure you add references to both the Parent and Child Classes.We now need to create a method (vi) in the Child Class that is going to change the Child indicator when told to do so. Create a new VI from Static Dispatch Template in the Child Class. Save it with the name Get state from Parent.vi.Add a Boolean control to the front panel and connect it to the connector pane. In the block diagram, unbundle the indicator reference, wire it into a property node and then write the Boolean state to the value property. This vi is the method that does the work of changing the Child Actor front panel indicator. We now need a way to be able to run this vi from the Parent Actor. There are some tools that allow us to create these messages really easily.From the project window, select Tools and then Actor Framework Message Maker. This will open a window and allow you to create messages for methods that are in your project. Select the method that we just created and click Build Selected.A Get state from Parent Msg.lvclass is created with two vi’s. Close the vi’s and move the class to the Messages folder within the Child Actor. The Send Get state from Parent vi is used to add the data to a queue and the Do vi calls the method that we created a step back. I am not going to go into the details of these vi’s but feel free to open them and see what is going on.Now that we have our Message and our method, we need to go back to the Parent Actor and to define when to execute this message.In the Parent Actor Core, add an event case to handle a value change from the Boolean control. This is where we will send the state to the Child Actor message. Add the Set Get state from Parent vi to the event case. This will put the Boolean control state onto the queue of the Child Actor. The Do vi will then be called which will then run the method from within the Child Actor Class. This will then update the front panel indicator of the Child Actor. Save your project and run the Launcher vi. Notice that changing the control on the Parent Actor, changes the indicator of the Child Actor. Now repeat the process to send the state from the Child Actor up to the Parent Actor. Wire in the queue. You now need to get the caller enqueuer and wire that queue in. The final project should like something like this. It took me a week or so to get my head around what goes on. I still have a way to go but am getting there and the more I use it, the more confident I am getting. This is a very basic example but I feel it’s good to get going and to understand the framework without starting with a large project. I have gone into detail with some of the above steps and breezed over others. I hope I have made the most important steps clear enough. If you are stuck with anything, please leave a comment and I will try help as much as I can. You can get a copy of the entire working project here. It has been written in LV2013 SP1. Thanks for reading and I hope that I have been able to clear the fog over Actor Framework for some people. If you want to have a look at the code, please feel free do download it from here. As I mentioned earlier, versions might play a role in the vi working properly so I have developed this using LabVIEW 2013 on a Windows 8 machine. 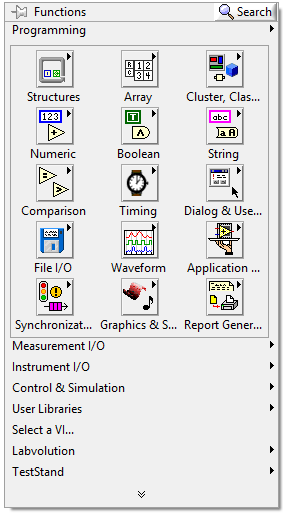 The last few days I have been playing around with the Web Services feature in LabVIEW 2013. The plan is to write more parts as I progress the project. See the rest of the post over on my blog. All comments and further tips would really be appreciated. I have tried to keep the icon colour the same as the default wire colour for each type making reading the application easier. You can get a copy of my library here if you want to have a look at it or use it. I will also be adding my LabVIEW content here.